RIP, Nancy Gates. | 50 Westerns From The 50s. « 50s Westerns Blu-Ray News #276: Law And Order (1953). A long life, but still sad news. 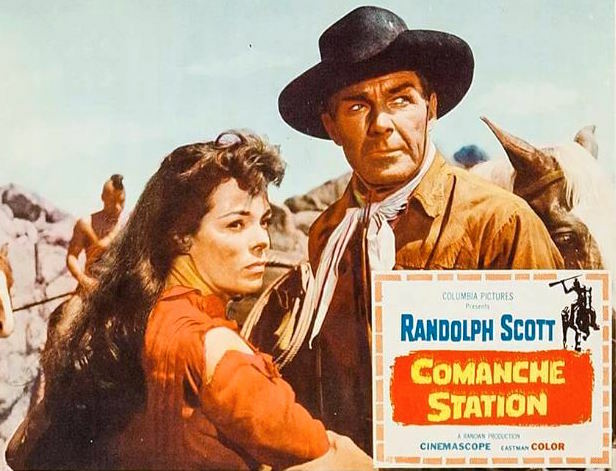 Comanche Station is one of the great westerns, in my opinion, and Nancy Gates work in it is one of the reasons for that. Such an ebullient presence as a teenager on screen, and a lovely, strong talent. One of my all-time favourite screen actresses. She had a long and full life but it is still a sad loss. R.I.P. Nancy Gates inoubliable Mrs Lowe. Add Some Came Running and The Search for Bridey Murphy to her list of film credits. Very nice Nancy Gates tribute over at Vienna’s Classic Hollywood. SOME CAME RUNNING soundtrack album.